This statistic illustrates the penetration e-mail usage as a communication method among various demographic groups in Italy in 2014. Seven percent of females reported using a this method to contact family or friends. 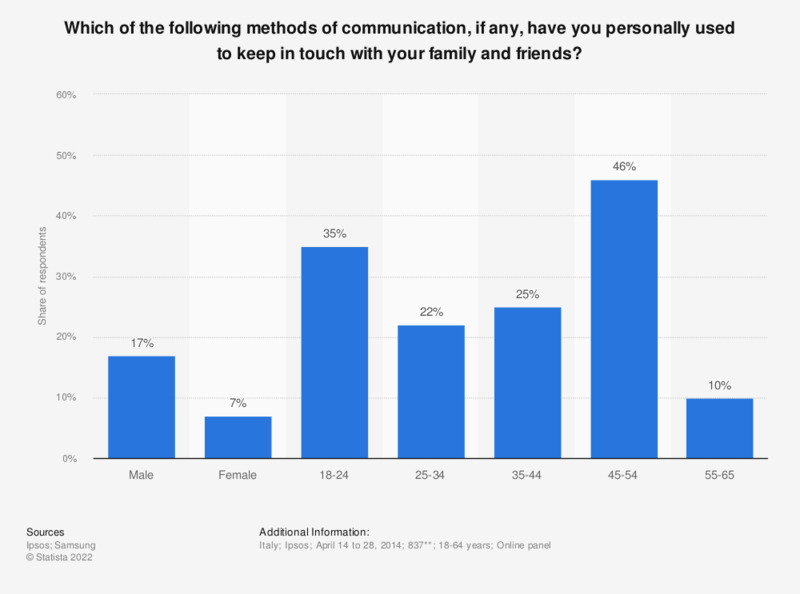 * Original survey question: "Which of the following methods of communication, if any, have you personally used to keep in touch with your family and friends?" ** n (male) = 856; n (female) = 588; n (18-24) = 840; n (25-34) = 604; n (35-44) = 855; n (45-54) = 888; n (55-65) = 503.